‘Heroine’ director Madhur Bhandarkar to be awarded with the Raj Kapoor Smriti Award. 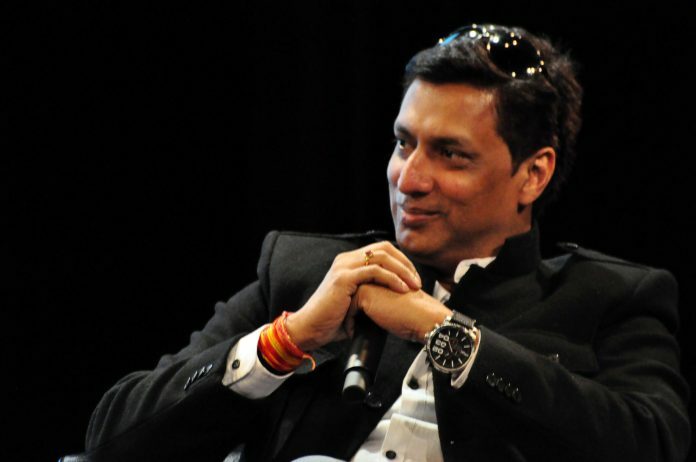 Coveted Indian filmmaker Madhur Bhandarkar will soon be honored with the Raj Kapoor Smriti Award by the Maharashtra state government for his contribution to the world of Hindi cinema. The 45-year-old filmmaker has made some the blockbuster Bollywood movies like ‘Chandni Bar’, ‘Fashion’ and ‘Page 3’. Bhandarkar expressed his happiness on Twitter, “Thank you to each one of you for the congratulatory messages you sent. I accept this Maharashtra State honour bestowed on me, in all humility”. The National award winning director is currently busy working on some of his upcoming projects like ‘Calendar Girls’, which is based on the lives of models who make it big in the showbizz after having been calendar models. Bhandarkar is best known for making movies based on serious social issues. His 2009 movie ‘Fashion’ which starred Priyanka Chopra in it drew inspiration from the modeling world and the lives of models. Madhur’s ‘Heroine’ delved into the subject of the lives of Bollywood Heroines, the movie starred Kareena Kapoor in the lead role. Other celebrities who will also be receiving the Raj Kapoor Smriti Award include actress Tanuja and Marathi actress Uma Bhende who will be honored with a lifetime achievement award. The award ceremony will be held later in August, 2014.